Southern England from Dorset to Kent, north to Oxfordshire, and East Norfolk. Also recorded from the Channel Islands (Jersey (Saunders 1902), Herm (Richards 1979), Guernsey and Sark). There are several records from outside this distribution range, though these are unconfirmed and are likely to be based on misidentifications (these are omitted from the distribution map). This bee has undergone a rapid and largely unexplained decline in Britain. In the last two decades it has been reliably recorded from just six sites in Dorset, Wight, North Hants, East Sussex and North Essex. The species is widely distributed in western Europe. Listed as Rare (RDB3) by Else & Spooner (in Shirt, 1987) and as Endangered (RDB1) by Falk (1991). 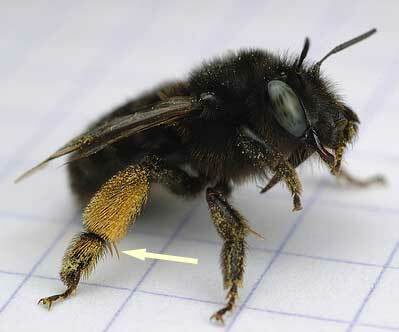 In A. plumipes the hind-tibial spurs are black, whereas in A. retusa they are yellow to yellowish-brown in colour. The species has a preference for sandy soils, being generally found inland on commons and heathlands, as well as coastal dunes and cliffs. Other sites seem to have been on heavier, wooded soils. Univoltine; early April to mid June (rarely late July). Generally the species emerges a little later than the other Anthophora species which is active in the Spring, A. plumipes. Polylectic, foraging from Brassicaceae and Lamiaceae (Westrich 1989), though there is no British record. Nest burrows are excavated in the soil. However, there seems to be no published description of their internal arrangement or whether they occur in aggregations. The species probably over-winters as a newly eclosed adult in its sealed cell. Common bird's-foot-trefoil (Lotus corniculatus), common vetch (Vicia sp. ), dandelion (Taraxacum sp. ), ground-ivy (Glechoma hederacea), kidney vetch (Anthyllis vulneraria), thrift (Armeria maritima), wallflower (Cheiranthus sp.) and wild radish (Raphanus raphanistrum). The cleptoparasitic bee Melecta luctuosa attacks the nests of A. retusa (e.g. Saunders 1896; Morice 1901; Giordani Soika 1936; Lieftinck 1980).